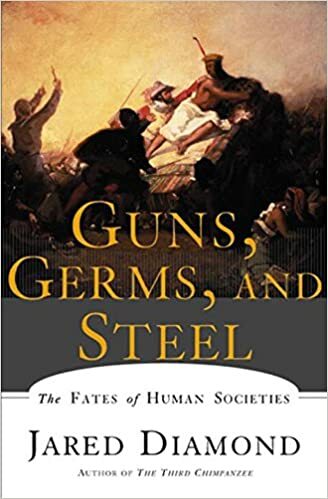 If this fascinates you as it does for me, Guns, Germs, and Steel: The Fates of Human Societies  is an equally fascinating read, although there are arguments against the hypothesis. Guns, Germs, and Steel by Jared M. Diamond does a great job of explaining this in detail, and not just in the North Americas, but examples throughout the world. 1: Native american's had no real concept of quarantine. If someone was sick, the extended family would take care of them. In turn the extend family would become infected, and infect the rest of the village/tribe as they travelled. 2: Europeans lived in cities with much greater population densities. Their immune systems were much more accustomed to dealing with a large variety of infectious agents. Whereas the native americans live is small homogenous villages. With very little exposure to outside influences, other than other tribes/villages. I love, love love the book Guns, Germs and Steel. It's not perfect but the author throws in so many great ideas as to why certain groups did better than others. None because any group is inherently superior. >What is your evidence for all of this? Many and various. Two good laymen books on the anthropology are Gun, Germs, and Steel, by Jared M. Diamond , and The Fall, by Steve taylor . But if you look it up on Google, you will find many good articles too. >Sounds to me like once science figured out that adam and eve story is scientifically impossible, apologist went back and spun up a new meaning of the creation story. Sounds to me like you are not too familiar with Christian history. An allegorical view of the beginning of Genesis is as old as records on the subject, and many famous historical Christian leaders advocated for it. This is not a new thing by any stretch of the imagination. >none of this explains why christ is necessary and what sins of some random people 2000 years will lead me to suffer if i dont accept his protection racket. I am not going to justify this antagonistic remark by answering it. I will however, guide you to view the sidebar with the forum rules. Specifically the 3rd one, which forbids antagonism. Virnibot has detected a misspelling or incorrect use of grammar in your comment. This might be overkill to suggest, but you might be interested in the book "Guns, Germs, and Steel ", by Jared Diamond. It's an archaeological exploration of causes behind why power, wealth, and technology became so unevenly distributed around the world. It explores factors such as environment, resources, agriculture, and culture. It's certainly good food for thought for these kind of questions.